It’s our 8th Birthday, Come celebrate with us! 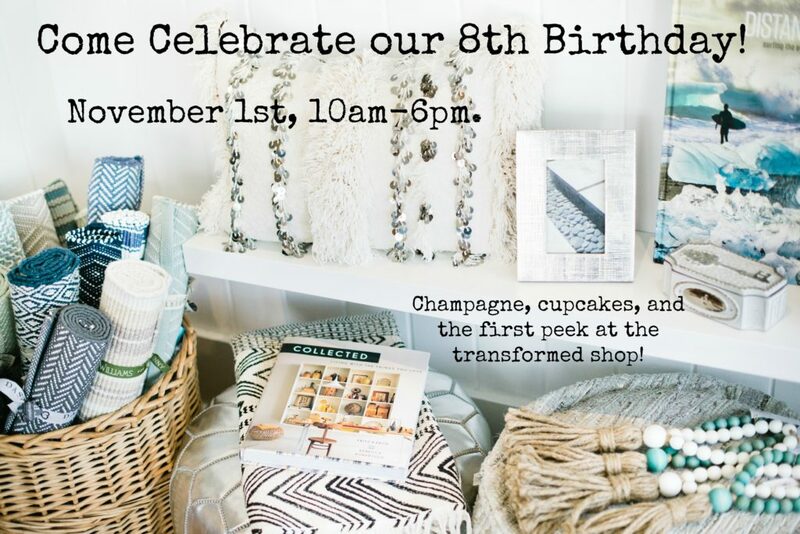 Believe it or not, tomorrow, November 1st is our 8th Birthday here at Gum Tree! 8 years, I can barely believe it. Big LOVE and THANKS to all of you! We know full well that without you we would not be here, and we are so very grateful for your continued support. We’d love for you to join us on Tuesday when we reopen for a Birthday Party, with Champagne and Cupcakes! Take home a Gum Tree Jute tote with every purchase too. FYI…Today the shop at Gum Tree will be closed so that we can transform the place into a winter wonderland…Never fear, the Cafe and Kids Shop are open today and fully stocked with Halloween Spirit.